INCRA Miter Sliders make great shop jigs easy! The need for specialized sliding jigs and fixtures is a fact of life of machinery-based woodworking. It's not a question of "if", but more a question of "how many" jigs you'll eventually need. Instead of spending precious shop time trial-and-error fitting wooden or plastic runners, INCRA'S Miter Sliders are the greatest shortcut ever invented for getting a sled or other fixture tracking perfectly through a miter slot. These rigid aluminum runners install quickly and adjust in seconds for a perfect, play-free fit. 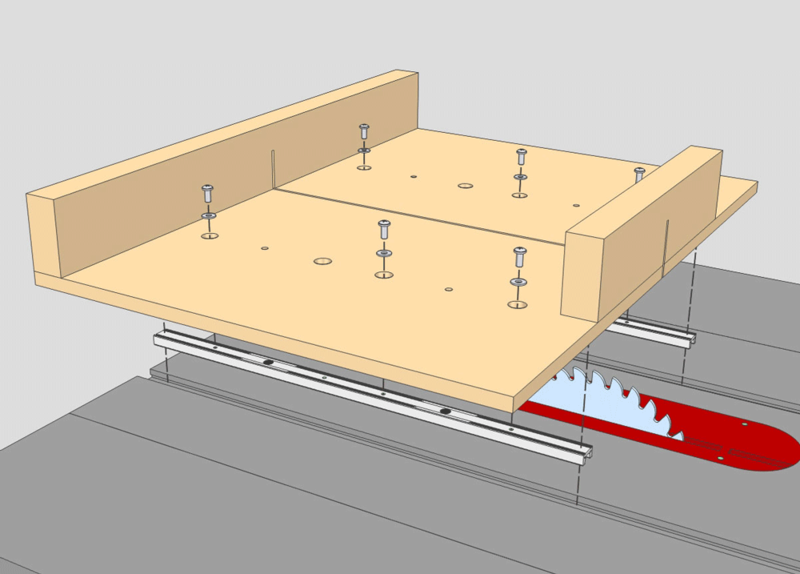 There are countless applications where Miter Sliders can accurately guide jigs to keep you safer and improve your work - coping sleds that stabilize narrow door parts on router tables or shapers, crosscut boxes for more control at the table saw, and dedicated mitering jigs that are always ready for action. ► This rigid aluminum runner conveniently adjusts from the TOP for perfect sliding action in any standard 3/4" x 3/8" miter gauge slot. Won't warp, shrink, or swell like wooden runners. Adjustment range fits slots measuring 0.740" - 0.760" wide and measures 18in long. ► A simple turn of a screw adjusts Miter Slider for ZERO sideplay. Another turn locks it securely in place in the miter slot for attaching stationary jigs such as feather boards. 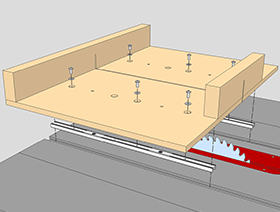 ► Includes full instructions for installing Miter Sliders on your own sliding jigs, and for the ultimate convenience, there are FREE fully illustrated plans for a wide variety of quick-building jigs using INCRA Build-It Jig & Fixture System components.